Description: Up for sale is my unfired Colt 1911/1991A1 45ACP pistol complete with the factory original storage box and owners manual. 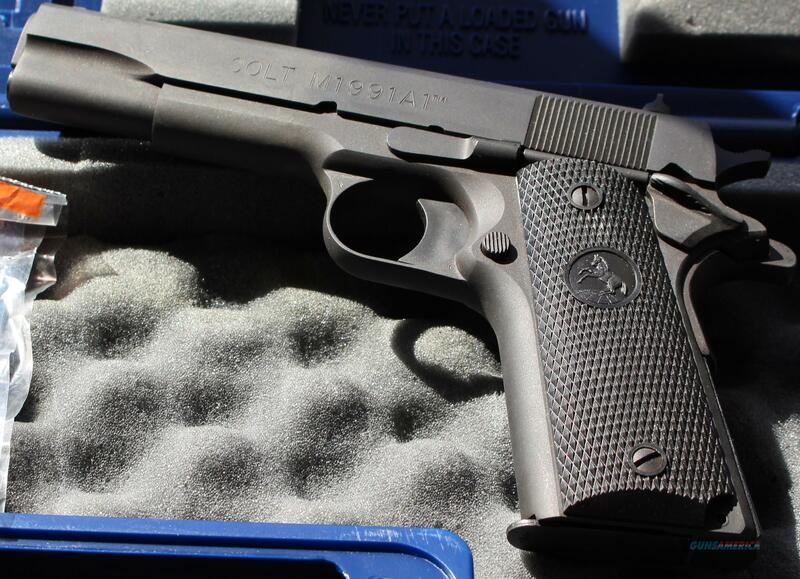 This pistol has a matt finish from the factory and it comes with one Colt seven round magazine. I will only sell to Arizona residents twenty-one or older with a valid Arizona ID. I do not ship as I am NOT a FFL dealer. I do NOT collect sales tax! Sorry no trades. Local pick up in San Tan Valley only. YES this item is still for sale and I will promptly delete this posting once sold.